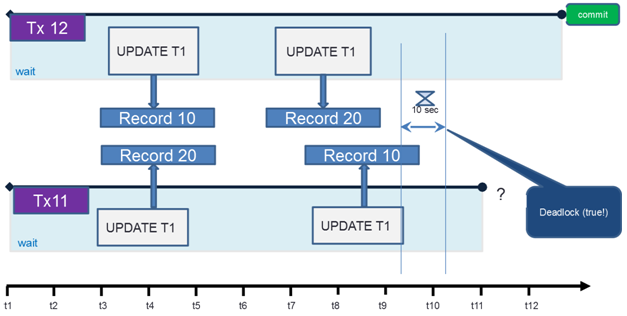 The article "Transactions in Firebird" is the introduction to the basics of Firebird transactions: ACID, isolation levels, updates conflicts and "true deadlock" (on the chart below). We are happy to announce the release of Jaybird 2.2.15. Jaybird 2.2.15 is the last version of Jaybird 2.2.x, and we will not plan new changes or fixes for 2.2.x. This effectively means that Jaybird 2.2.x is End-Of-Life. If you run into problems, we will recommend that you switch to Jaybird 3 (or 4 once it is released). Contact us on Firebird-Java for questions. Jaybird 2.2 supports Firebird 1.0 and higher, on Java 6, 7 and 8. For Java 11 or higher, use Jaybird 3. If you need to convert a very big Firebird 2.5 database to 3.0, or many databases during the short period of time (for example, overnight or during the weekend), you will definitely find useful this article: it describes how to speed up the backup-restore process by 25-30% with the streamed backup-restore process. Please read Fast conversion of Firebird 2.5 databases to Firebird 3.0.